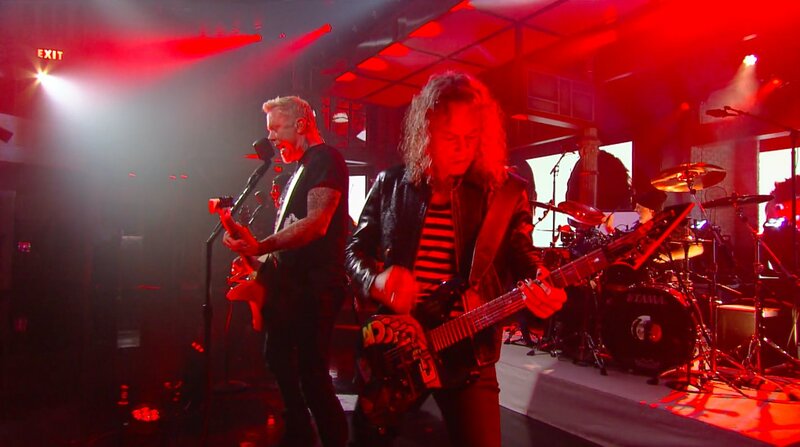 Metallica performed their latest single, “Now That We’re Dead”, on CBS-TV’s The Late Show with Stephen Colbert on May 15 and official video from the program is available online. The trek – which opened in Baltimore, MD on May 10 – sees Metallica joined by Avenged Sevenfold and Volbeat, with Gojira on board for select dates. The package will play dates this week in Uniondale, NY, Boston, MA and Columbus, OH. The stadium tour wraps up in Edmonton, AB on August 16 before the group head to Europe for a fall run.